Jennifer Egan’s a favorite author here on the Disco. 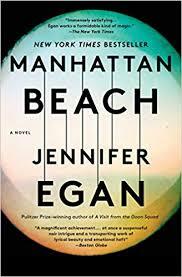 But does her latest novel, the New York period piece Manhattan Beach, keep up the winning streak? It made a lot of Best Of 2017 lists, but the Disco trio is a bit divided. Are these characters realistic? Is the dialogue cliched?